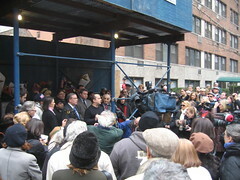 Neighborhood residents, survivors of the accident, CERT team members who responded, local politicians and the mediaÂ gathered in front of the construction site. 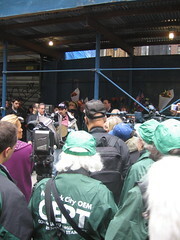 A moment of silence was observed at 2:22pm when the accident occurred. 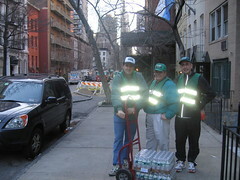 Though our role was an ancillary one — mostly helping to lighten the load on the uniformed responders and the Red Cross — neighborhood residents were thankful to have our assistance and happy to see their fellow New Yorkers pitching in. 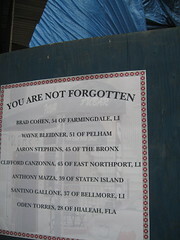 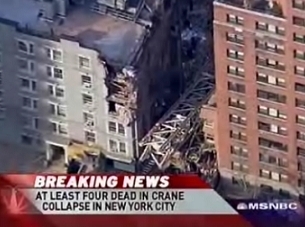 Little did we expect that there would be another major crane collapse just a few weeks later only 40 blocks north.